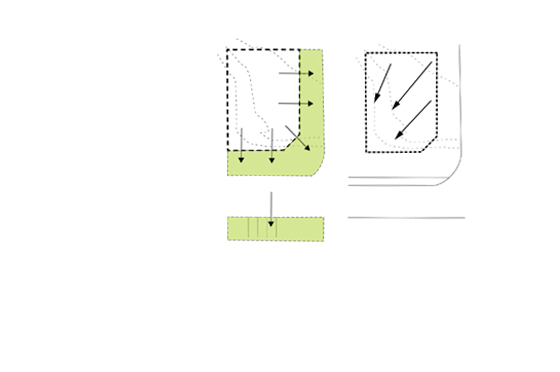 this design can be understood as a protoype that can be applied to other infill developments where landscape and water management are a high priority. the resultant formal exploration has envisioned a solution that allows the current ratio of 57% permeable to 43% permeable surfaces to be retained whilst significantly increasing the density. a small exemplar showcasing that the sharing of service costs can give rise to the consideration of environmental factors as design generators. by questioning outdated modes of planning and infrastructure, these infraurban developments can contribute to ensuring WGV, and other greyfield suburbs can adapt to a growing population whilst also ensuring a water sensitive urban environment for next generations to inhabit and enjoy.